Uncle Drew (film, 2018). A 2018 American sports comedy film with "PG-13" rating by Lionsgate Films. Directed by Charles Stone III. Official Trailer. Uncle Drew is a 2018 American sports comedy film directed by Charles Stone III. 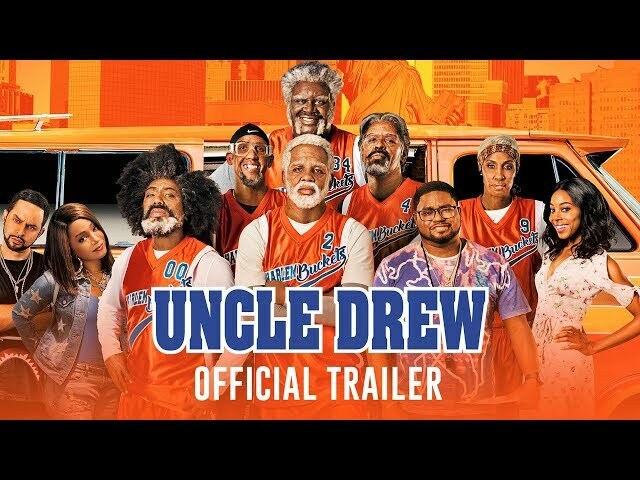 Uncle Drew (2018 Movie) Official Trailer - Kyrie Irving, Shaq, Lil Rel, Tiffany Haddish. 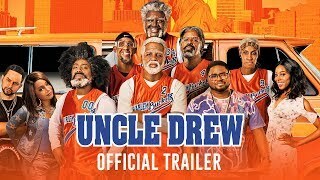 The film opens with a documentary-style overview of Uncle Drew, a well-remembered basketball legend who was supposed to play in the Rucker Classic. However, due to an unknown conflict, he and his team disappeared. In the present, Dax is the underappreciated coach of the Harlem Money and their star player, Casper Jones. Dax spends lavishly to keep both his girlfriend, Jess, and Casper happy, despite being a clerk at Foot Locker. During practice Mookie, an old rival of Dax's, arrives and taunts him about the upcoming Rucker Classic tournament. In a dream sequence, we learn that Dax was an orphan who planned on becoming a basketball player, but was humiliated by Mookie after he had a shot blocked by him in their youth. The next day at work Casper demands expensive new shoes from Dax, who effectively bankrupts himself purchasing them. Despite this, Mookie successfully recruits Casper and the rest of Dax's team away from him, leading to a confrontation involving Dax forcibly trying to remove Casper's shoes that is filmed and shown on ESPN. Due to this humiliation, Dax's girlfriend Jess dumps him and kicks him out of her apartment. Dejected, Dax has little luck finding players for a new team until the cantankerous Angelo encourages him to seek out Uncle Drew. Drew turns out to be an exceptional basketball player despite his old age. After seeing a demonstration of Drew's prowess, Dax recruits him for the team, neglecting to inform him about the tournament's prize money. Drew agrees to join Dax under the condition that they recruit his original teammates. 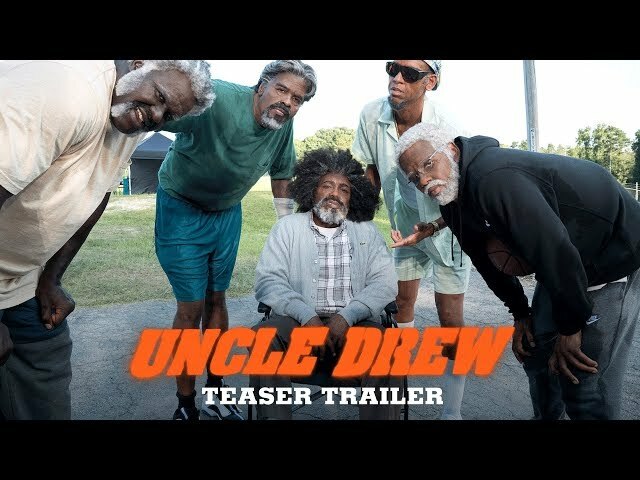 The film Uncle Drew was scheduled to be released by Lionsgate Films on June 29, 2018 (United States), on July 6, 2018 (United Kingdom), on August 9, 2018 (Portugal) and on August 24, 2018 (Hong Kong). The duration of the film is 103 minutes. With a budget of $18 million, the film grossed over $46.5 million. Uncle Drew got high rating from critics. But the audience dislikes the film. Audiences polled by CinemaScore gave the film an average grade of "A" on a scale ranging from A+ to F.